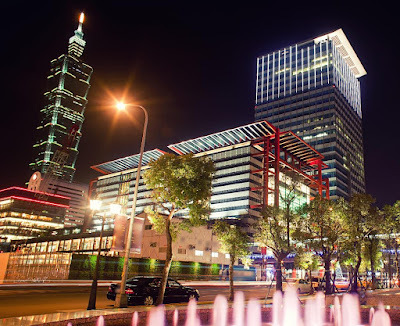 Shulin, New Taipei City – March 25, 2019 – EVERLIGHT ELECTRONICS CO., LTD., devoting to the promotion of smart city, always holds the concept of “Energy Saving, Environmental Protection and Love Earth” on product developments and activity policies. In order to promote smart street light, we will attend “SMART CITY SUMMIT & EXPO” for the first time, jointly working with AAEON, ASKEY Computer Corp., EverFocus Electronics Corp. and IBASE Technology Inc. to build up smart traffic, security and energy scenarios, integrate the related applications and perfectly present the most convenient and systematic smart city on the booth. We welcome you to experience at the booth (Booth No. : K824). EVERLIGHT demonstrated street lights on the exposition. Among them, the Victory series were the most highly-asked. The series are the lightest high wattage LED street lights (3kg) with more than 150lm/W of luminous efficacy. Featuring great heat dissipation effect and innovative streamline design, the easy-to-install street lights are offered with internal or external power supply unit to be chosen by customers according to their needs. In the meantime, they also adopt the world’s first smart interactive light post, wired power line transmission, wireless NB-IoT, LoRa, and Zigbee smart street light control system. Being the most excellent, energy-saving and smart LED street lights of the new generation, the smart road devices can be perfectly matched with the smart city with EVERLIGHT ICT. EVERLIGHT not only owns many installation achievements in Taiwan, but also has landscape lamps with special light source that can be installed in the biological area, allowing the public to clearly see the fireflies without disturbing them. In consideration of high speed driving and lighting distance requirements on highway, we also promoted Victory 2 series with the bat-wing and asymmetric light patterns, built-in heat fins to effectively reduce dust-attach. The series own 200-watt brightness to remain excellent lighting quality even on the highway. The street lights in all series can also be equipped with interactive light post, wired power line transmission, wireless NB-IoT, LoRa, and Zigbee smart street light system, and a platform with information transfer function. Humanity functions can also be added, such as traffic monitoring, air quality monitoring, behavior observation and identification, voice collection and forecast, Picocell and so on. For the management of smart street lights, we can provide all kinds of cabled and wireless solution according to the field environments. The operating state of a lamp can be easily monitored via a remote platform. With EVERLIGHT ICT, the most excellent, energy-saving and smart new generation LED street light can be perfectly matched with the city. With over 36 years of professional LED experience, EVERLIGHT has combined R&D, business and market teams, as well as diversed development of visible and invisible LED to let the smart lighting and Internet of Things be presented everywhere in the world. EVERLIGHT own two core technologies of IoT, one is super energy-saving technology and the other the intelligent ICT. We listen to the requirements from our customers to provide an intelligent solution with high quality and core value, and have been recognized with“LED Aurora Award”, “MIT Smile Mark”, “Outstanding Photonics Product Award” and “Taiwan Excellence Award”. It is expected that our smart technologies can increase the life convenience, improve and enhance people’s quality of life.